While Waterloo is known for being Canada’s “technology hub,” the city is now gaining a reputation in a much different field. 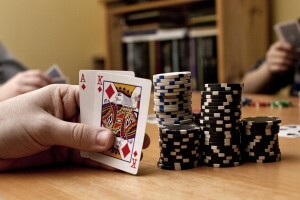 It is a burgeoning pocket of world-class poker champions. In fact, Waterloo native, Mike McDonald, is the youngest person to win an event at the European Poker Tour and the Epic Poker League. Starting poker nine years ago at the age of 15, he is now regarded as the most successful professional poker player coming from the Waterloo Region. He joins a large list of young poker prodigies. Ma won the Grand Prix de Paris one year ago, cashing in well over $600,000, whereas McDonald has won over $5.5 million in live casino tournaments. Ma, who is now in graduate school at the Massachusetts Institute of Technology (MIT), was once an undergraduate student at the University of Waterloo. He believes that his studies helped contribute to his success in poker. McDonald, now 24, feels differently about his university education contributing to his poker skills. McDonald completed three terms at UW before transferring to Wilfrid Laurier University for a fourth. He then dropped out and went on to pursue poker professionally. McDonald believes that there is no criteria to become a professional — it all just depends on whether you’re willing to buy into tournaments. This was difficult for McDonald when he was just starting out, as many were skeptical of his profession at such a young age. McDonald was never a part of a poker organization when he was an undergraduate student at UW. Now, the university has a large club with members from both UW and WLU. And the interest is only growing. George Wang, a representative from the UW Poker Studies Club, explained that the group was revived in 2008 and only had about 20-30 members. Today there are over 140 students registered. “There is definitely a strong community,” he said.